On Wednesday, September 23, the Franciscan Action Network will be leading an all-night, multi-faith vigil at the Lincoln Memorial. On Thursday morning, September 24, the Pope will address a joint session of Congress. There’ll be Jumbotrons set up at the Capitol and on the Mall for viewing. After the address, join us for a rally on the National Mall between 4th Street NW and 7th Street SW. We’ll have exciting performances, and inspiring speakers from the climate justice community, as well as from faith, science, labor, and economic justice perspectives – because, as the Pope and so many others have pointed out, there’s one Earth, one humanity,and one crisis. 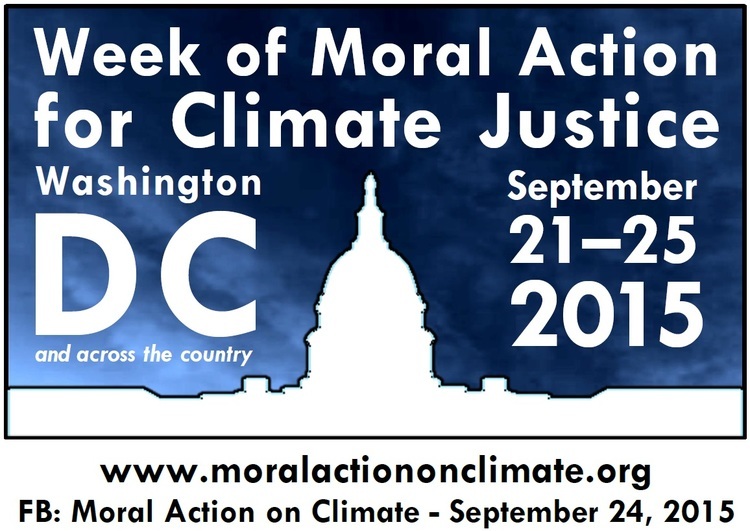 We’ll also celebrate the power of a people awake to the danger and the opportunity of this moment – and we’ll gear up for Friday, September 25, when we’ll lobby Congress to demonstrate real leadership on this, the defining moral issue of our time. More events are being planned in DC for both before and after the Pope’s visit. Come for any or all of them – or hold a solidarity event of your own, right where you are.